On May 30-June 1st, I was invited to present at 3rd EMEA OUG Harmony conference. The conference was held on two locations: at Aulanko, Hameenlinna , Finland on May 30-May31 and Riga , Lativa on June 1st. My presentations at Finland conference were 1) Oracle11g R2 Clusterware: Architecture and Best Practices of Configuration and Troubleshooting; 2) Oracle E-Business Suite: Migration to Oracle VM Template Based Deployment, while my presentation at Lativa conference site was Oracle E-Business Suite: Migration to Oracle VM Template Based Deployment. The session “Oracle E-Business Suite: Migration to Oracle VM & template based deployment ” discussed the a newly developed method to migrate an existing Oracle E-Business system on physical servers to a virtual environment and also to learn how to create and use the VM templates of customers’ own project specific Oracle E-Business systems for on-going project. The session discussed how to leverage the benefits of Oracle VM such as high availability and scalability and server partitioning for Oracle E-Business suite R12.1 infrastructure. The methods mentioned in this presentation won the 2011 OAUG innovator of the year award.The presentation slides can be downloaded here for Finland conference and here for Lativa conference. Infrastructure high availability is extremely critical to Cloud Computing. In a Cloud system that hosts a large number of databases and applications with different SLAs, any unplanned outage can be devastating, and even a small planned downtime may be unacceptable. 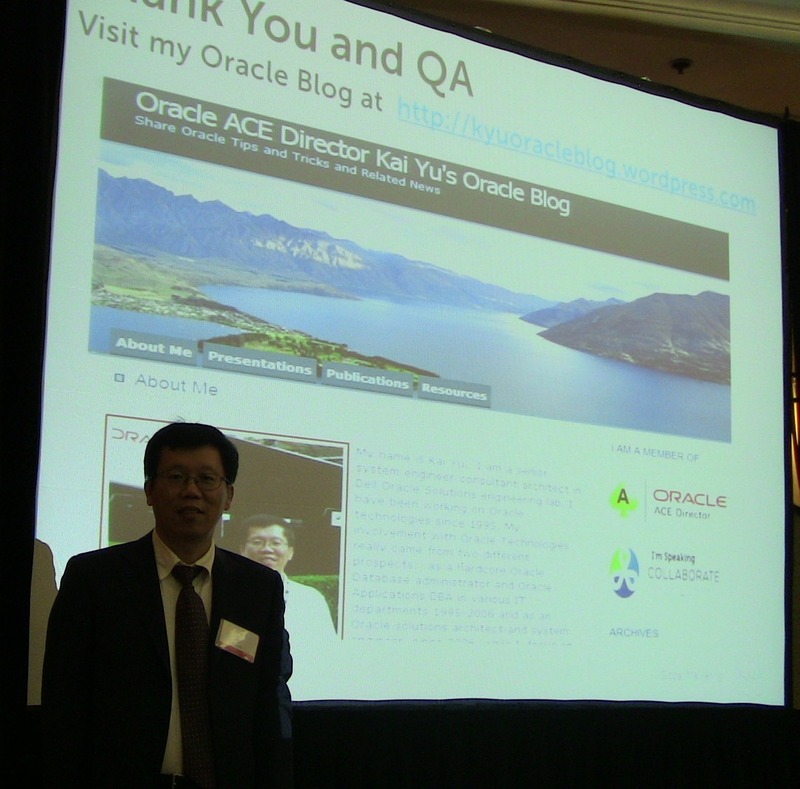 On May 16, 2012, I gave a guest keynote presentation High Availability Infrastructure of Cloud Computing at Oracle Architect Day Event hosted by Oracle Technology Network (OTN). This event kicked off the 2012 Architect Day series for IT solution architects. During the presentation, I covered the best practice of configuring IT infrastructure such as servers, storage, network, Operating system , also discussed the high availability architecture that system architects should consider in cloud infrastructure design. 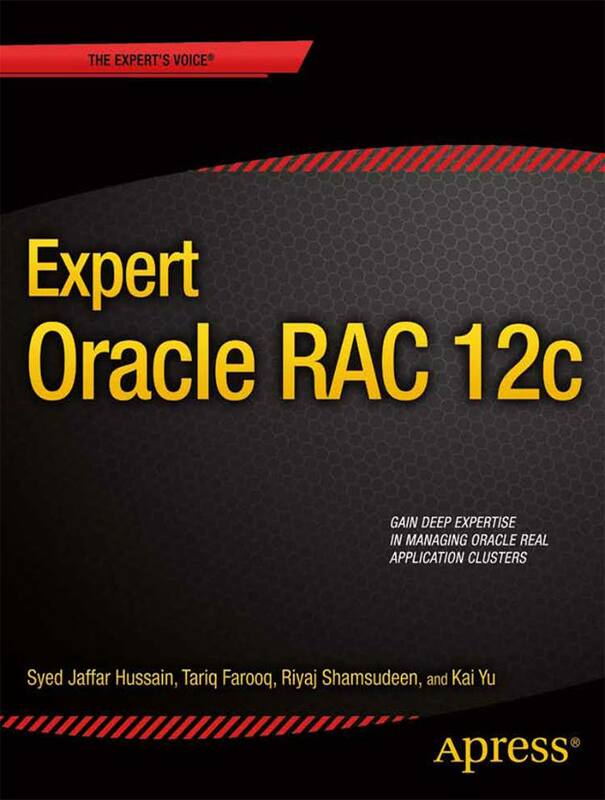 These include Oracle Real Application Cluster, Virtualization and Disaster Recovery solutions. After the presentation, I also attended the panel session and the round table session for QAs and more extensive discussions on high availability and cloud. My keynote presentation slides can be downloaded here . 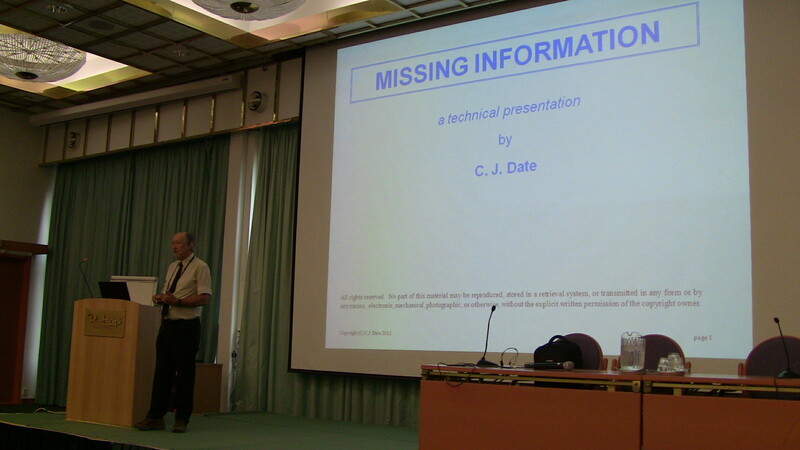 The recorded video and audio of the presentation soon will be available for download here .